Gardens, parks and lawns. Blankets, rugs and other textiles. 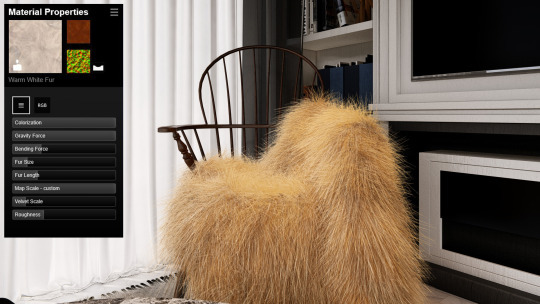 See how the customizable 3D grasses and furry materials can help ground viewers to the reality of your design. In Lumion 9 Pro, the new customizable 3D grass* and furry materials* can transport your audience right into the heart of your design. For sprawling lawns, gardens, parks and more, the 3D grass materials highlight the look and the “feeling” of your exterior landscapes, all while heightening beauty and providing a sense of the design’s real-life location. The same goes for the new fur materials. 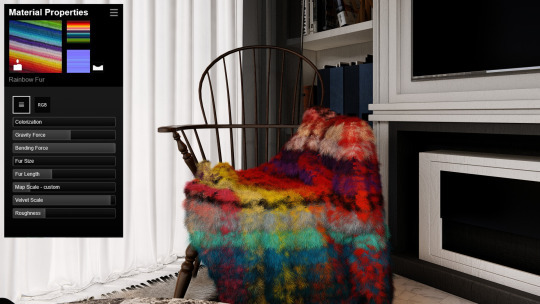 Whether it’s a blanket, a rug, bedsheets or even a stuffed animal, such as a teddy bear, the new 3D fur material adds a softness and a charm that immediately communicates a feeling your audience is familiar with. 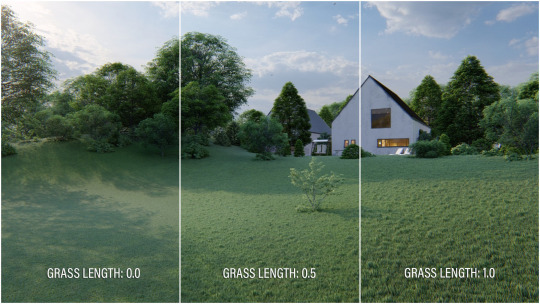 In this blog post, we’ll take you through the innovative new material features in Lumion 9 Pro — Customizable 3D Grass and Furry Materials — and we’ll show how they can pull viewers into the world you’ve created while suspending their sense of disbelief. 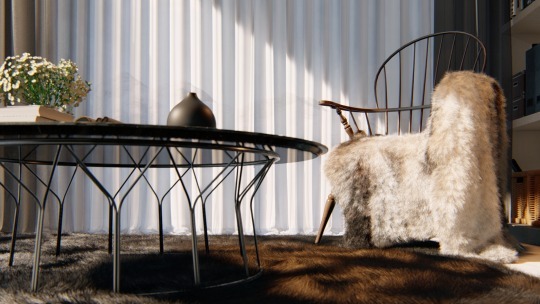 No matter the intent of your render, the new 3D grass and fur materials can help convey the real-life atmosphere of a space and communicate the essential points of your design. 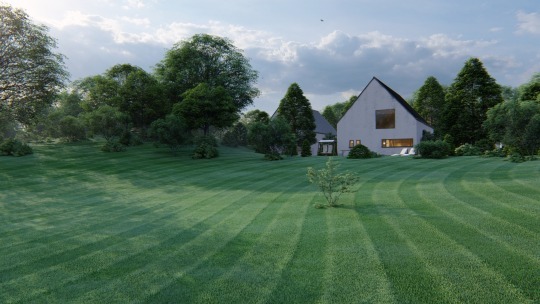 Creating realistic grasses is one of the more challenging tasks when making professional-quality architectural renders. 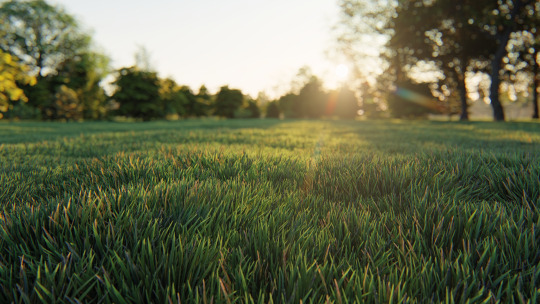 Now, with the new customizable 3D grass material in Lumion 9 Pro, giving any surface a jaw-dropping, realistic grass requires merely a few clicks. In the following video tutorial, we’ll discuss a few key uses of the new grass material. In previous versions of Lumion, there were two grass options. For example, you could achieve a type of 3D grass by applying landscape grass in the Landscape editor. The other option was to apply the 2D grass material on a surface of your choosing. Having complete control over the grassy surfaces in your 3D design can help assure realistic, recognizable landscapes, no matter the location of your project’s future site. Like the customizable 3D grass, the new furry materials in Lumion 9 Pro utilize the same, groundbreaking technology that gives the material its soft, so-real-you-can-almost-touch-it appearance. 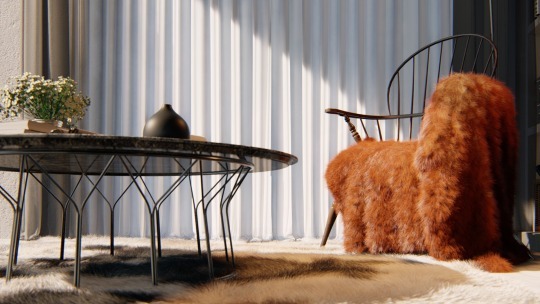 And while the customizable 3D grass is optimal for exteriors, the furry materials are positively perfect for interiors. Blankets, rugs and other textiles immediately look and feel like they’re soft and fluffy. Like the 3D grass materials, the fur materials are entirely customizable. 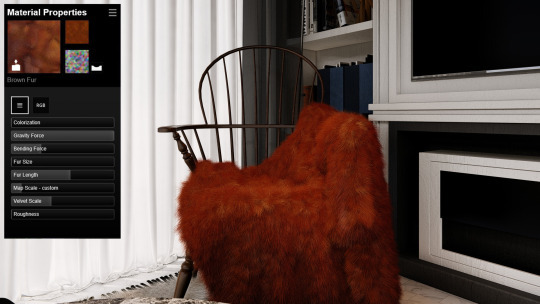 You can adjust the impact of gravity on the fur strands, the curliness of the individual strands of fabric, the length of the fur, its color and much more. Whether for bedrooms, living rooms, chairs, blankets, rugs and so on, the new furry materialsare amazing when it comes to giving any material a soft, extremely comfortable look and feel. The smallest details in a render can have an enormous impact, especially when it comes to materials and grasses. 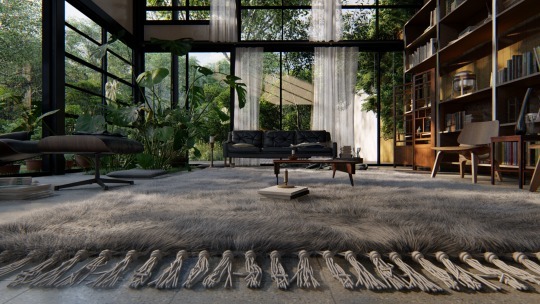 With the addition of the customizable 3D grass and the furry materials in Lumion 9 Pro, it’s now easier than ever to give any surface the beauty of highly realistic, soft-looking materials. Want to make Lumion 9 a permanent part of your workflow? Head over to the buy page for purchasing options! 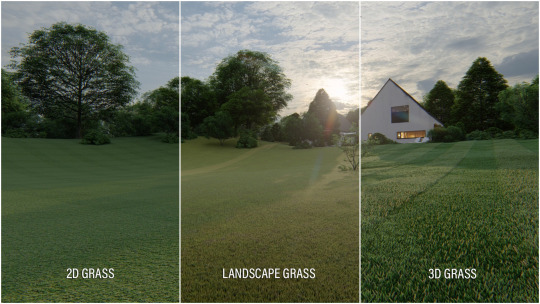 *Customizable 3D grass and the furry materials are only available in Lumion 9 Pro.